It’s true, gray is the new popular colour you will find in a lot of homes. Why? It’s a classic colour and it is also sensible. It’s an update from your traditional beige. It offers a more modern look that can fit into any style or lifestyle. 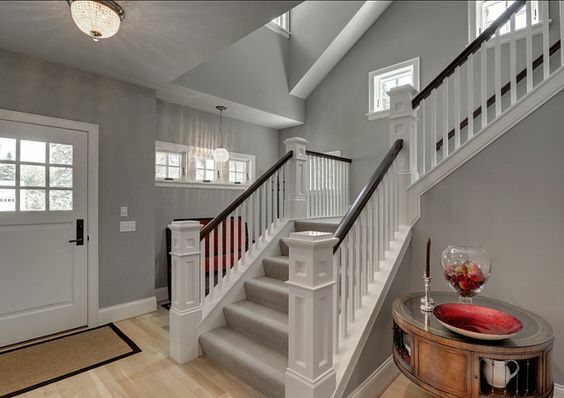 We also recommend gray as a colour to use for walls if you are painting to sell your residential home, moving in, or renovating. However, we do know how difficult it can be to choose the right gray. Most people consider the colour to be cool and void of warmth or character. We think the opposite. 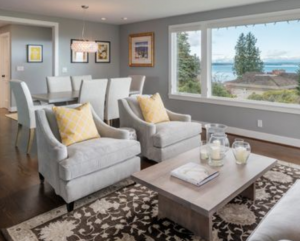 Choosing the right gray for your space can bring a level of space and coziness at the same time. We also know that finding the right gray can be tricky. Often times there may be undertones of blue, green, or even purple. There is nothing more disappointing then not loving your space. Gray Owl is an all-out unadorned, approachable colour that pairs beautifully with stainless steel appliances in a modern kitchen; chrome or steel accents, AND any oak that you may be stuck with. Described as a more traditional gray with a stormy mood or look to it. It can have the wet concrete look and depending how you accessorize your space, it can throw a little blue. A beautiful medium gray with a cool undertone. This is definitely not brown/beige in tone and will feel light, fresh and clean. Finally, once you have narrowed down your selection we always recommend that you visit your paint store and ask for a sample size of paint to test on your walls. When you are testing the colour in your home, be sure to paint different areas in your home where the lighting is different. The colour will show differently depending on the light source in your space and how much. We are always happy to help you select the right colour for your space. When booking your Free Onsite Estimate be sure to ask us if you need assistance. Book here. Copyright © 2019 Blue Nile Painting. All Rights Reserved.